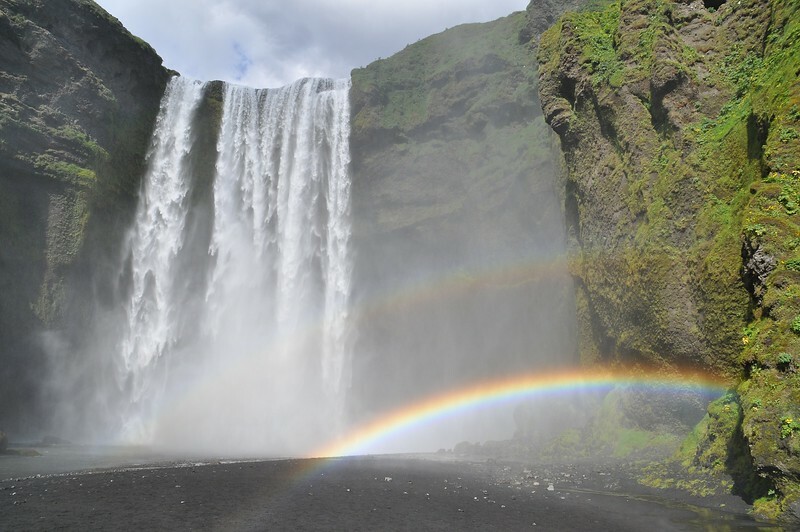 Not far from the iconic Seljalandsfoss, the Skogafoss waterfall is also well known in Iceland. 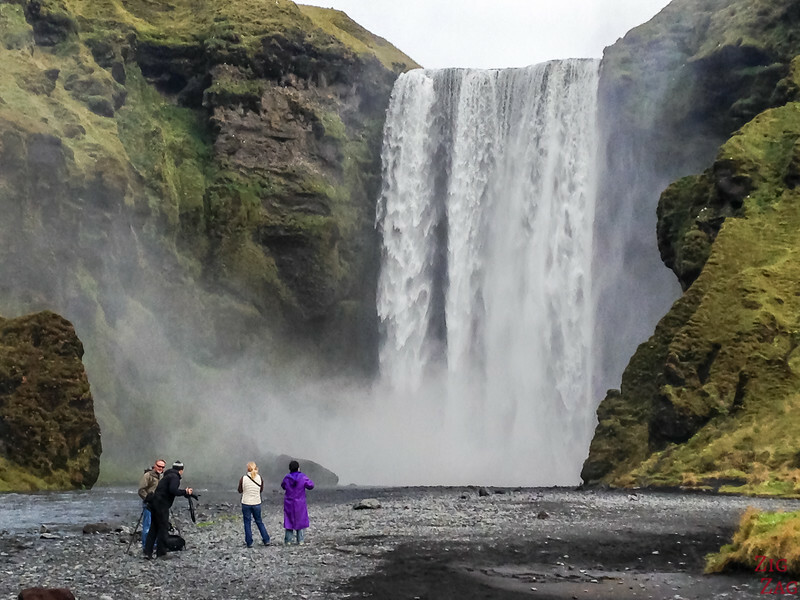 Walking up close a powerful 60m high curtain of water is an experience you should not miss while visiting Iceland. 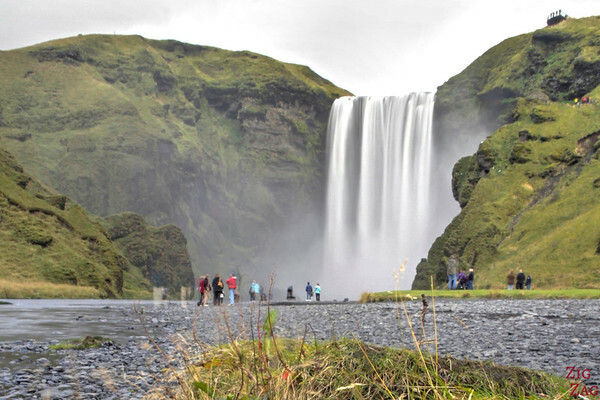 Skógafoss (which signifies the Forest fall) is a waterfall on the Skógá river over a former sea cliff. 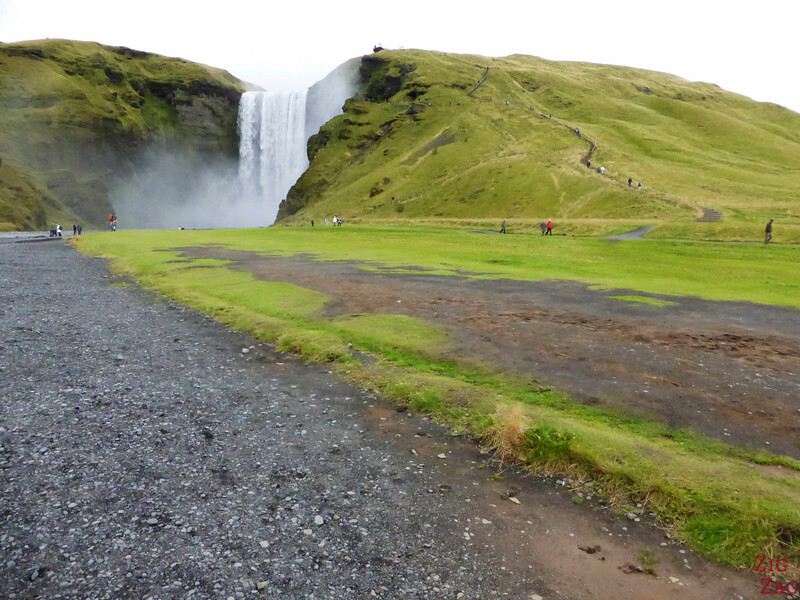 Skogafoss, along with many other beautiful places,is included in my eBook: The Road Trip Guide - Iceland. From the parking it is an easy flat walk to the foot of the waterfall. Sadly I do not have a wide angle so I was not able to take a picture of the whole fall even closer. 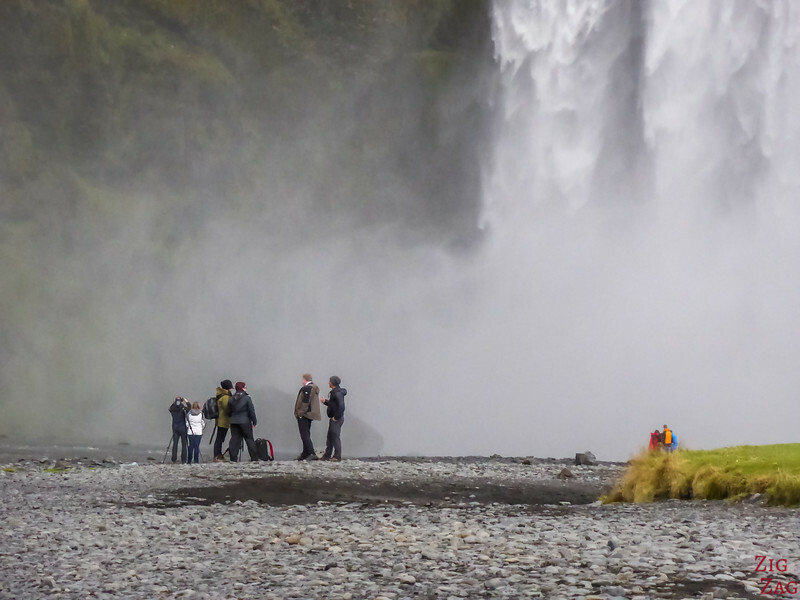 At Skogafoss you can also do some hiking. You can climb the 500 steps to the viewing platform. And you can continue along the river for as long as you want. I goes all the way to the Central Highlands. 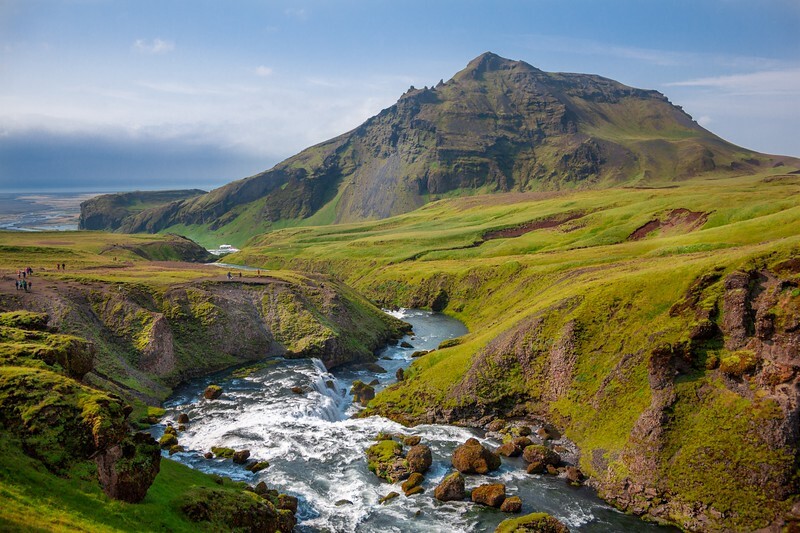 From the top of the Skogafoss hike, you can also hike further on the trail that goes all the way to Landmannalaugar through Thormosk. 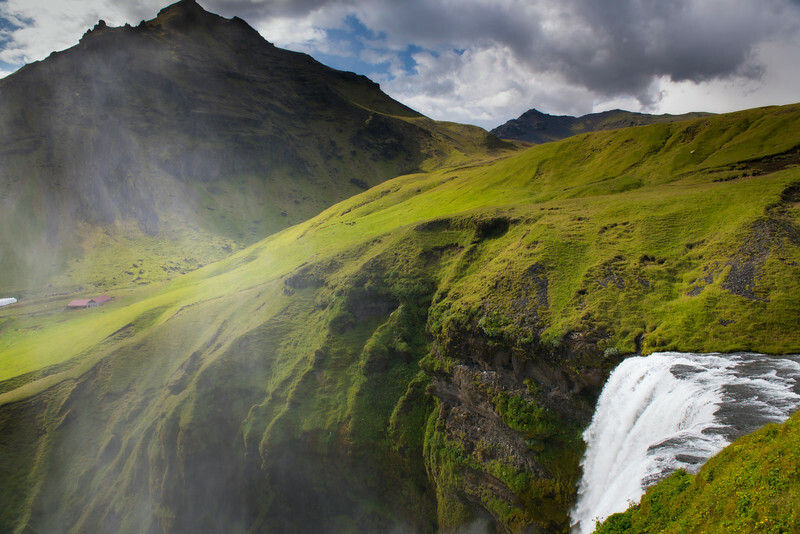 At the beginning you follow the river with more rapids and waterfalls. Here is a serie of photos from this trail from another blogger. 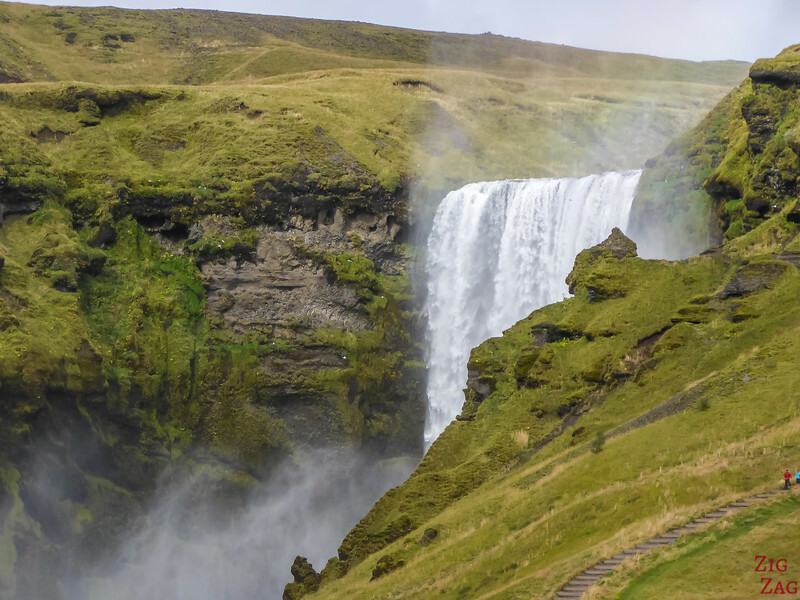 Skogafoss waterfall directions : The waterfall is visible from the Ring road and the parking a just 1km from Road number 1. 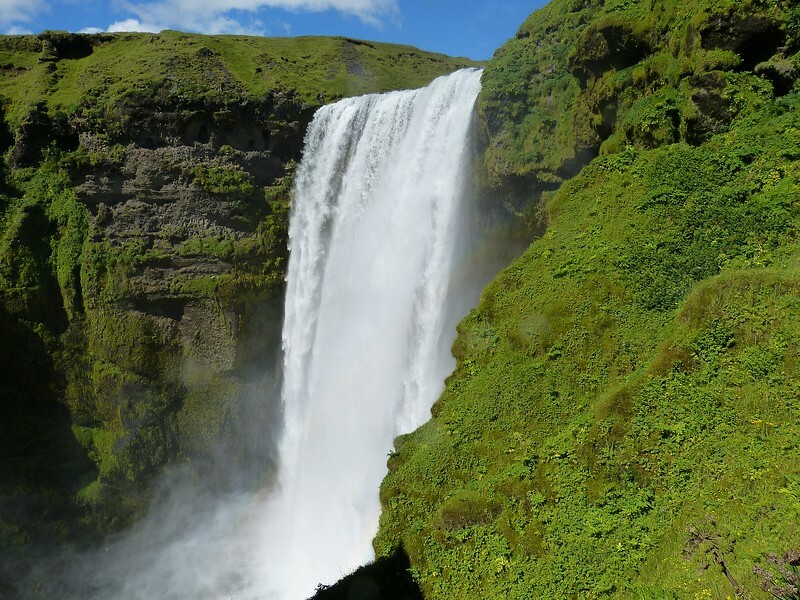 It is 28km east of Seljalandsfoss. There are also stairs on the right side. to get to the top. From the info I found it is roughly 500 steps and you need to be reasonably fit. Apparently there is also a rock in the shape of a troll face. There is a cafe and toilets at the site. Camping is allowed. Hotel Skogafoss is next to the parking. 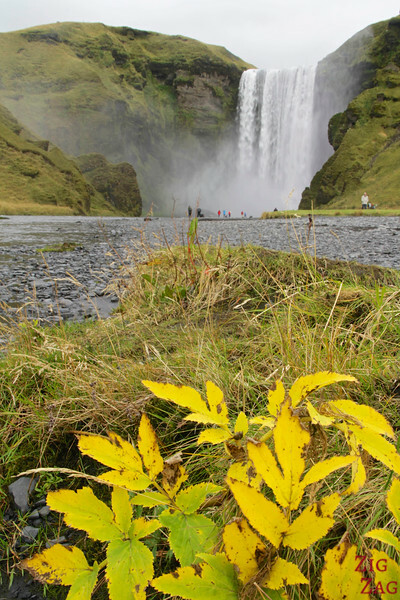 A hiking path start at the top of the Skogafoss waterfall and flows the river with many rapids and more waterfalls. The nearby village is skogar. 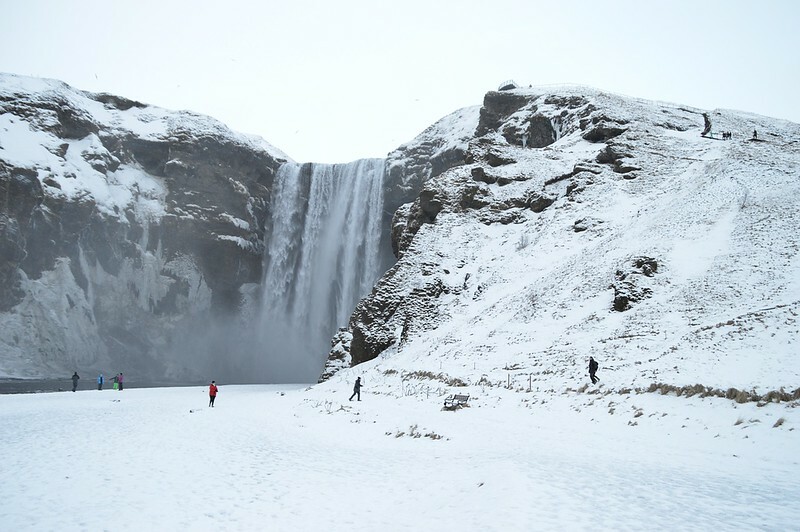 Begin close to the Ring Road, the Skogafoss falls can also be accessed in Winter. 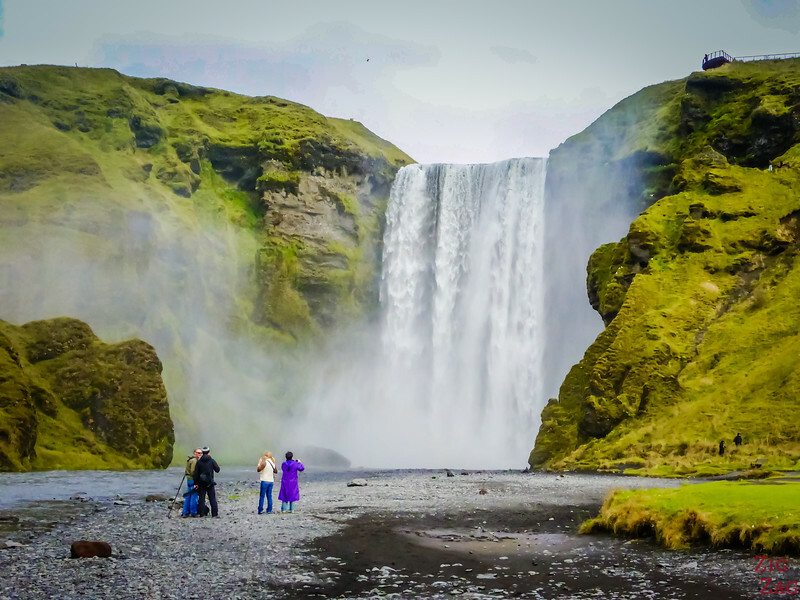 Considering the high volume of the waterfall it does not freeze and the scenery become really magical. 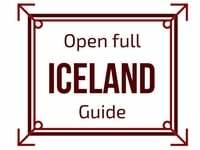 Check out my dedicate article to find how to visit Iceland in Winter. What do you think of it? Special or too classic?